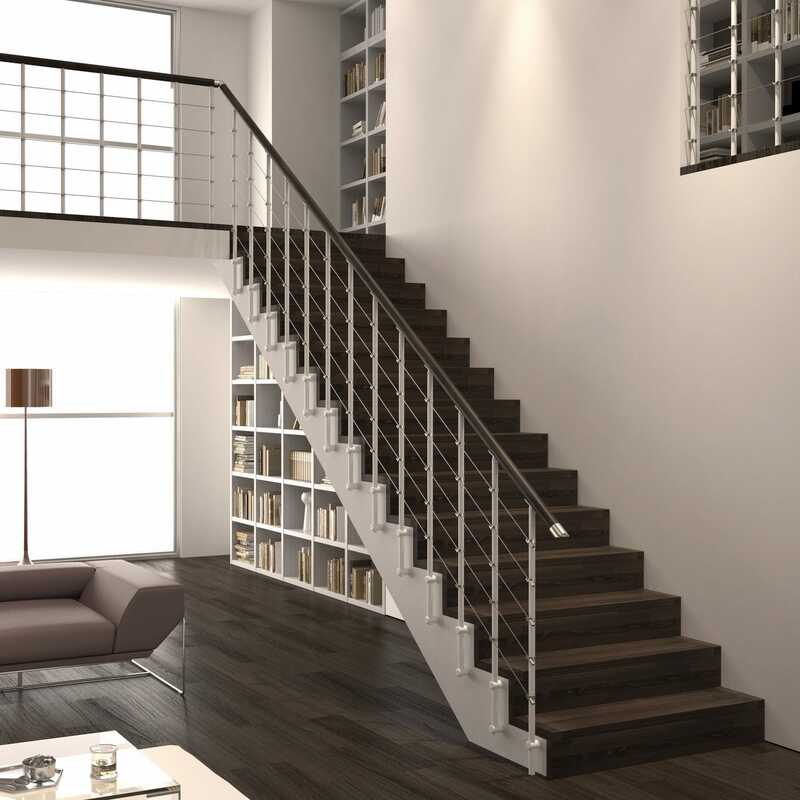 Tube is the iron railing whose simplicity reaches a radical aesthetic dimension. It is a mix of simple lines, without superfluous elements, and able to enhance the features of any room or staircase. 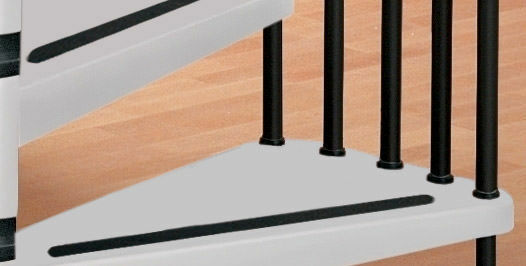 The posts that make up the indoor railing Tube consist of circular columns with a diameter of 25 mm made of painted steel, available in various finishes. 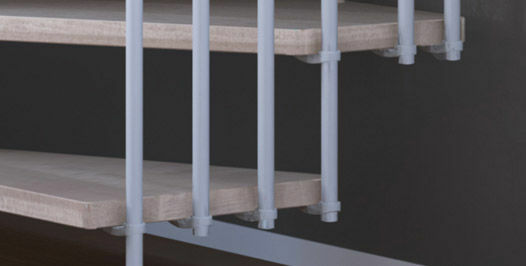 Individual posts are connected to each other by stainless steel cables while the handrail, available in solid finger joint beech wood, is fixed via special tops that allow you to adjust its slope. Compared to other popular iron railings, Tube offers various customization options to fit perfectly in any room. It is available in three different configurations that define its aesthetic and installation features. The first includes the sole use of poles without any type of horizontal connection. The second is characterized by the inclusion of horizontal steel cables that connect the various posts. Finally, the third option involves the use of crossed wires between one post and the other. 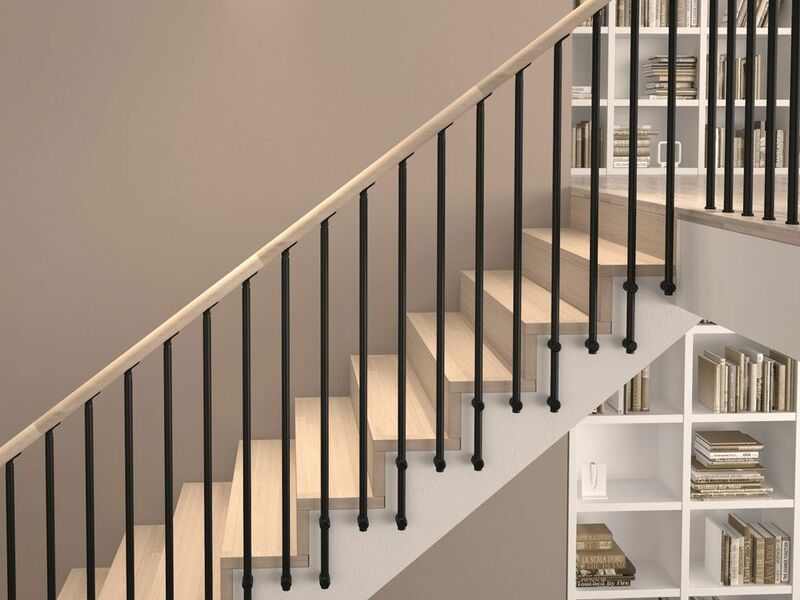 Adding wires makes it possible to increase the distance of the posts without compromising safety, thus creating an open and airy railing for indoor stairs.